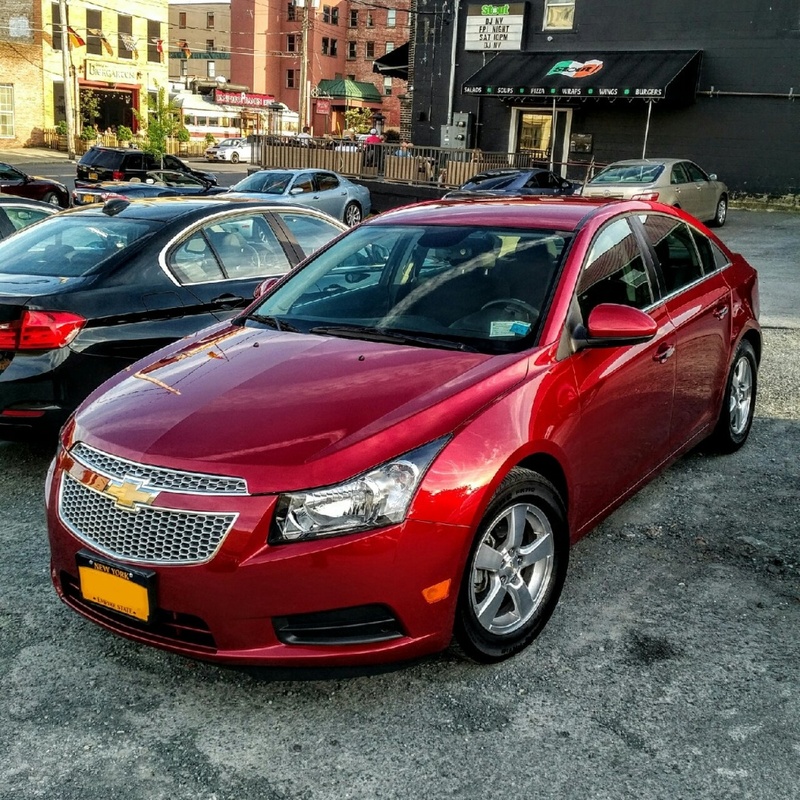 I’m not sure the exact day, but I do know the year – 2012 – when my Chevrolet Cruze “Dracourage” rolled out of its birthplace – a factory in Lordstown, Ohio. This was my second car born at that plant; my 2006 Chevrolet Cobalt “The Blackbird” also was assembled at that facility. So yeah, the news that General Motors would close four of its manufacturing plants – including Lordstown – irritated me. That, and General Motors announcing that six of its cars – including the Chevrolet Impala, the Chevrolet Volt and the Chevrolet Cruze – were in their final years of production. Thanks, Donald Trump. This is all on you. Great win there, President Cheeto. See, when Donald Trump chose to raise steel and aluminum tariffs from foreign manufacturers, he essentially jacked up the price of steel and aluminum for manufacturing cars and trucks. And when it costs more to build your car in Ohio with high-tariff pieces, or make the car overseas to keep costs low … hey, this is what happens in corporate America. Hell, it happened in Flint, Michigan 30 years ago, when General Motors shut down its Buick manufacturing plant and relocated that factory to Mexico, where labor costs were cheaper and GM’s stockholders could line their pockets. You might remember that someone made a documentary about what happened in Flint after the GM plant closed. But here’s the thing. When there are good reasons and incentives for companies to keep their factories in America and use American union men and women who earn an American wage, it benefits all of us. But I saw it change when cheaper imports from Datsun and Toyota and Honda outsold Ford and Chrysler and Chevrolet in the 1970’s. I saw it when AMC sold their company to Renault, and eventually drifted away. I saw it when Chrysler became part of Daimler-Benz, and later became a part of Fiat. But through it all, I also saw American workers building good, solid cars and fighting back. I saw General Motors build a manufacturing plant in Spring Hill, Tennessee for its Saturn line. I saw Ford keep manufacturing plants in cities and towns for decades, retooling their plants for new trucks and SUV’s and other vehicles. And after the late 2000’s, when the American car companies were falling toward bankruptcy and closure, I saw our government help them out. Bailouts. Cash for Clunkers programs. A stimulus plan that encouraged car owners to get rid of their old gas guzzlers and purchase new, efficient American-made vehicles. And by gosh, it worked. The minute Donald Trump jacked up the prices of steel and aluminum imports, GM had very few choices available. There wasn’t enough domestic steel and aluminum available for purchase. They could either have jacked up the price of the cars, they could have forced the unions to take pay cuts and lay off workers … or they could shutter some plants and hope that they can stop the corporate hemorrhaging. What I am seeing is a President whose decisions are so impulsive and short-sighted and petulant, that he would cripple the American auto industry just to get into a trade war that no one will win. As it is right now, there are reports of Midwestern farmers plowing over their crops because they can’t afford to harvest them, because foreign nations put reciprocal tariffs on American exported farm goods in retaliation for our tariffs on imported steel and aluminum. Swift. Which gets me back to my car. My goal now is to keep Dracourage running for as long as possible. Maintain it. Keep it in tune. Don’t let anything bad happen to it. Change its oils and keep fresh tires on it. How can I be sure there’ll be a General Motors at all? The newest car of the year is a Hyundai ! You obviously didn’t read GM statement, the cars aren’t selling, it’s all crossover trucks SUV, Ford is not going to make any cars, take your blinders off on Trump this is consumers driving the market. If all other automobile manufacturers followed suit, I might be right there with you pointing a finger at Trump. This was a business decision by GM, and Trump doesn’t run GM. If this is all on Trump why are Honda and Toyota not closing US factories? Are you sure it’s not because GM CEO (and Clinton pal) Mary Barra makes crappy cars that can’t compete with Accords and Camrys. Stop the hate and the fake news.